Thanksgiving for me growing up always represented food, family and thanking God. The theme this year is all about being thankful for family, for health, and to God for providing us with all that we have here on earth. 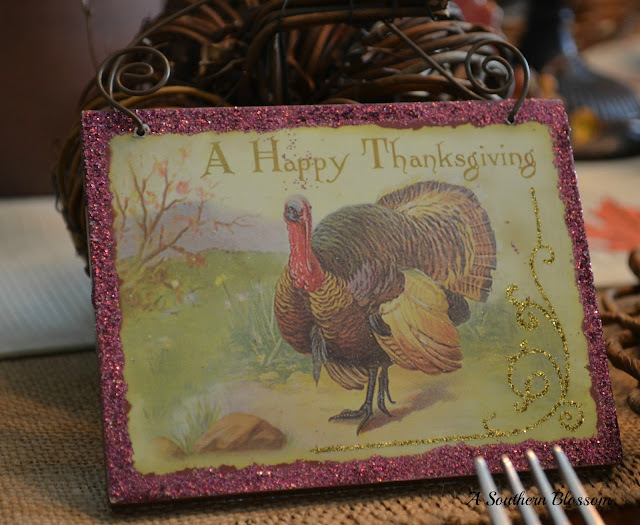 When my husband was young he rarely celebrated a traditional Thanksgiving, given the fact that his parents worked in the restaurant business, and were always working during the holidays. My family on the other hand always gathered for the holidays, and naturally when we started dating we included him in the family tradition. 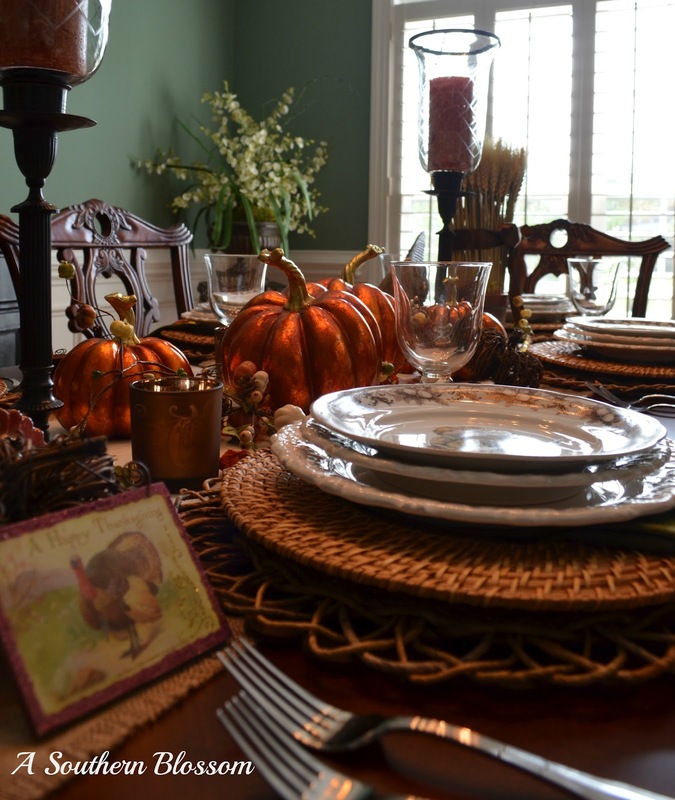 A few years later when we started our family, we began a new tradition, which included preparing only our favorite foods and inviting family to our home for Thanksgiving. A tradition we have continued for the past 22 years. Over the years we have shared our humble meal with many guess and there has always been plenty of food, and lots of good conversation. The table may be pretty, the food maybe simple, but the memories are far more precious, and every year we thank God for providing for us once more. My favorite part is knowing that as my son has grown-up he has always been surrounded by family, friends and these humble traditions. And now I would like to share these traditions with you. Every year we cook a turkey and in my family we serve dressing(not stuffing) I know that is a hot topic!! And every year my husband cooks something on his grill; it's his thing! and the sweet potato casserole. My in-law's prepare potato salad and collards! But I would love to know what your family does for the holidays? Are there special traditions? Are you responsible for cooking certain speciality dishes? If so let's hear about them! 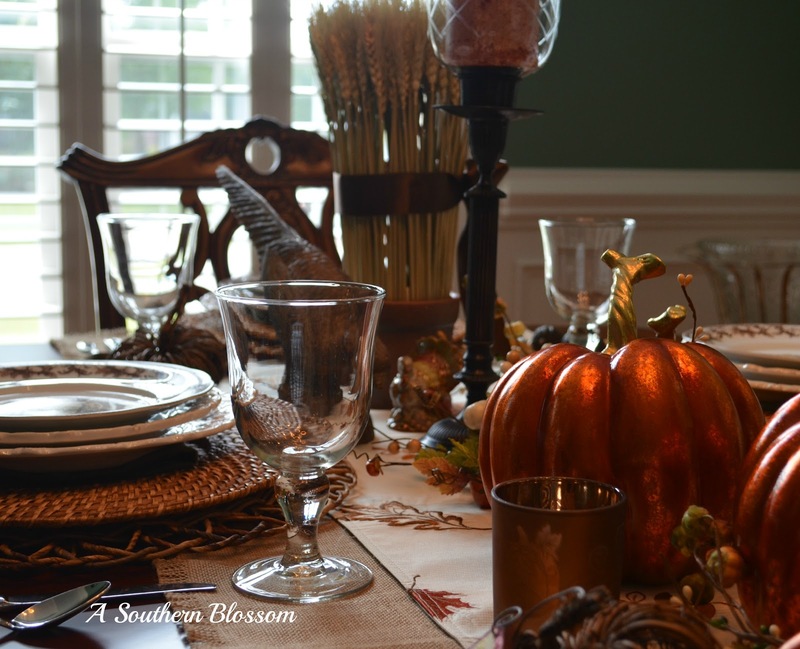 Thanks for stopping by and sharing this tablescape with me, and I look forward to hearing from you! What a beautiful table! Here in New England we have "stuffing". My most requested dish is Sweet Potato Casserole. I just love Thanksgiving and the fact that it is not as commercialized as the other holidays. We can focus on Faith, Family, & Food - three of my favorite things! Beautiful table, Karen! I love your turkey plates. In previous years, we've always done a turkey and my kids have grown up with a traditional Thanksgiving. When they were younger, after dinner, we would go see a movie. The theaters were practically empty and it was a tradition we started as a family. Last year my daughter started hosting for the first time, especially since we both moved from NY to Ohio and she now has my dining room table. : ) We had lasagna and I brought ham ~ no turkey because her husband doesn't care for it. Although, this year he had said to her that maybe they will do a small turkey. How pretty! You have such a great eye for display! I have to say that my favorite is your tied stalks of wheat! 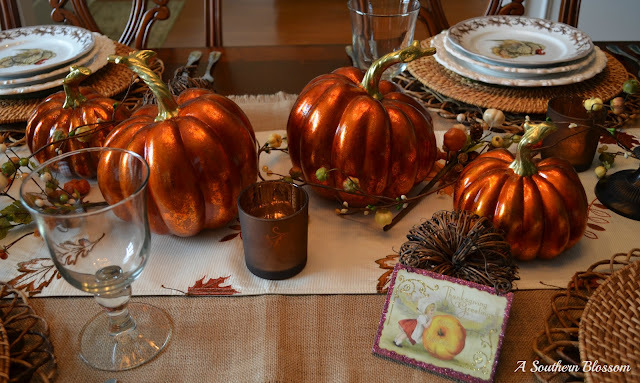 What a warm, inviting and absolutely beautiful table, Karen! When I think of Thanksgiving, this is exactly what comes to mind. 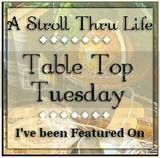 I love all the natural elements you included and the double runner!!! 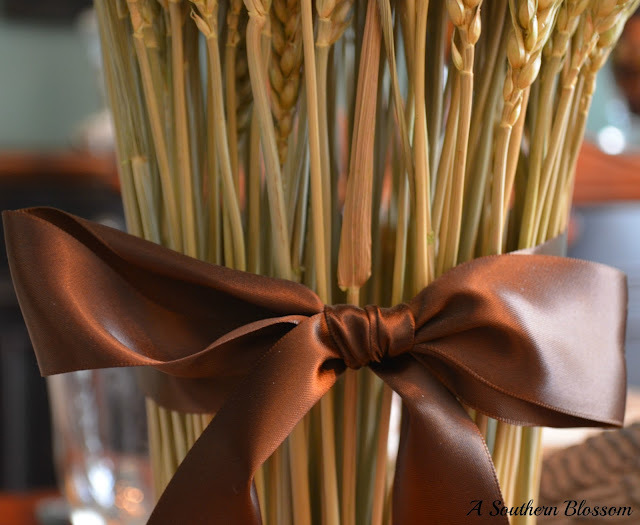 The soft chocolate ribbon around the sheaf of wheat is so pretty, too! It must be great living in the South where the weather is still tolerable enough or grilling in November! We'd be chased inside as soon as we open the door here in the Kansas City, MO area!!! :-) I love the idea of creating new traditions that make the holiday your very own. That's the way it should be, right? A little from the past, a little from the present, a little from his side, a little from yours...it's what makes it all so special. Thanksgiving is "my holiday", and I love to spend the time cooking and preparing for family to enjoy the day. My Mom has always made excellent dressing (that's what our family calls it, too! ), and I am learning to perfect her recipe. My sister does great yeast rolls, and I am the master of the gobbler. My husband is not allowed anywhere near the kitchen except to steal morsels! 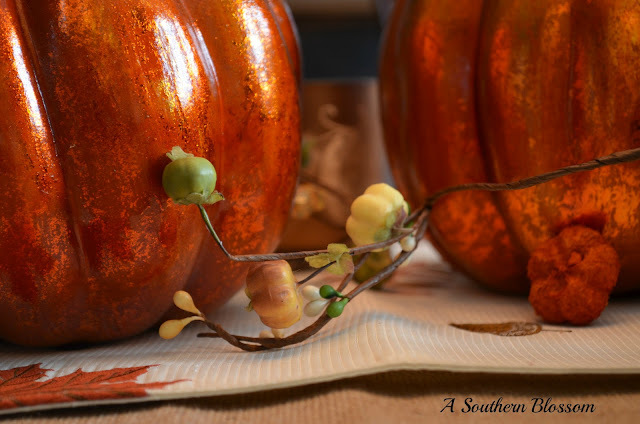 :-) Thank you for stopping by to see my Halloween set-up. 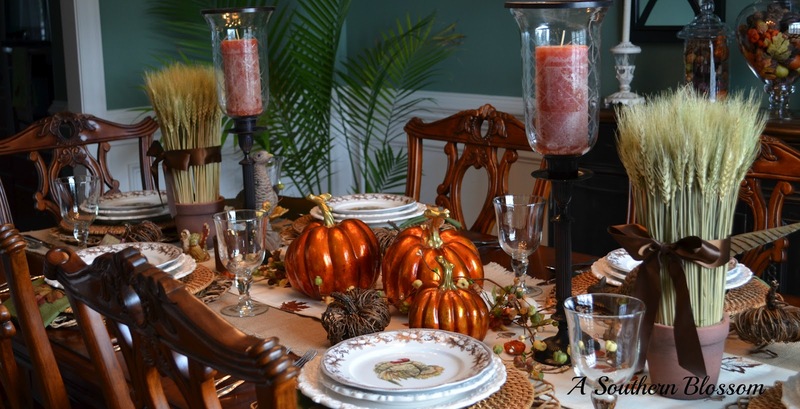 My house is already transformed to Christmas as I teach my tablescaping classes here. I can't wait to get it back to autumn mode for Thanksgiving Day! Have a great week!!! Your table is lovely, Karen. 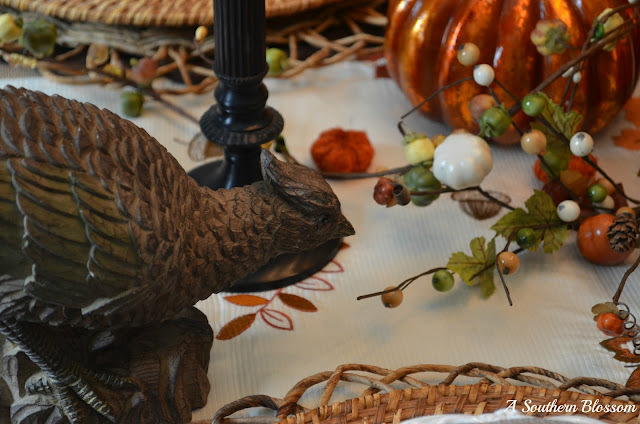 I loved hearing the story of how you and your husband have created Thanksgiving traditions for your family. I am the host for the Thanksgiving meal in my family and I am under strict orders to never change the menu! Funny how even our adult children take so much comfort in traditions that they grew up with. Your Thanksgiving table is just beautiful and I really love those turkey plates. Would you just pack them up and send them to me? Just kidding. I love reading about other people's traditions. How wonderful that you've been able to blend your husband's traditions with your own. 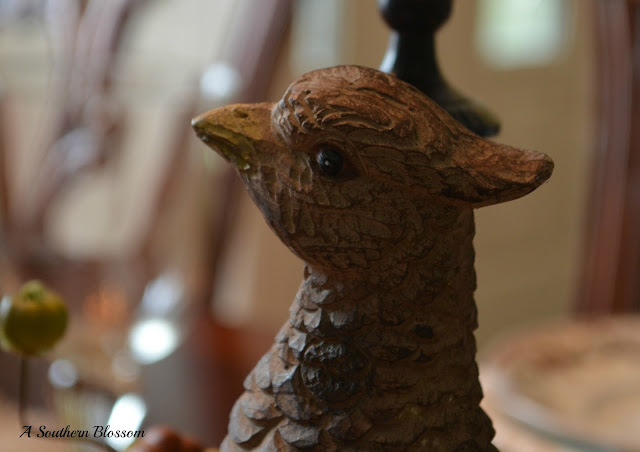 We do not cook turkey for Thanksgiving because my husband is allergic to all fowl. Yes, I know, it's weird. So I usually cook a fresh ham or a pork roast. Even the dressing has to be made with pork drippings rather than turkey. I don't know if you remember, but we met at the SBC and I'm just now getting around to visiting. My sister-in-law has visited but she never comments. Hope you are having a good weekend. 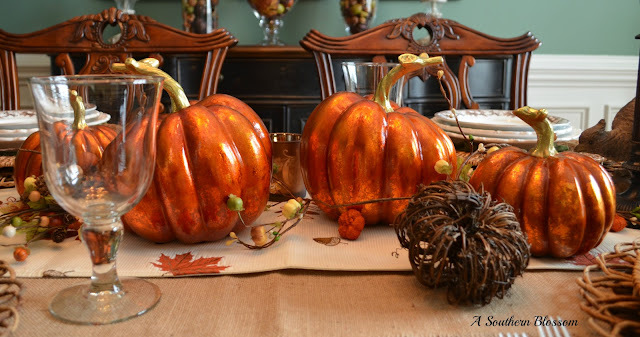 Oh, your Thanksgiving table is gorgeous!! 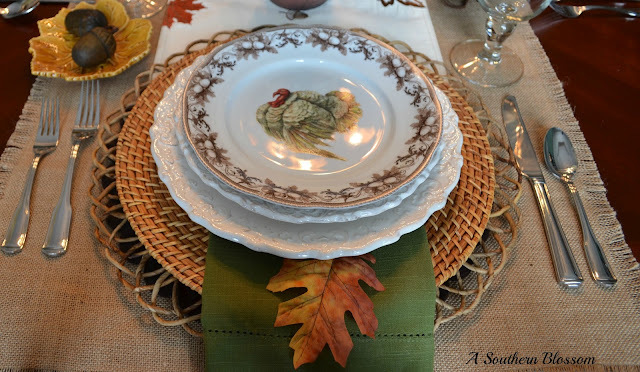 I want a table setting with the turkey pattern so badly. We do Thanksgiving in the mountains. I prepare all of our food and bring it with us, and we have the traditional Southern Thanksgiving meal. I am actually sitting in the camper, on black Friday, enjoying blogland instead of fighting the gosh-awful crowds up here. 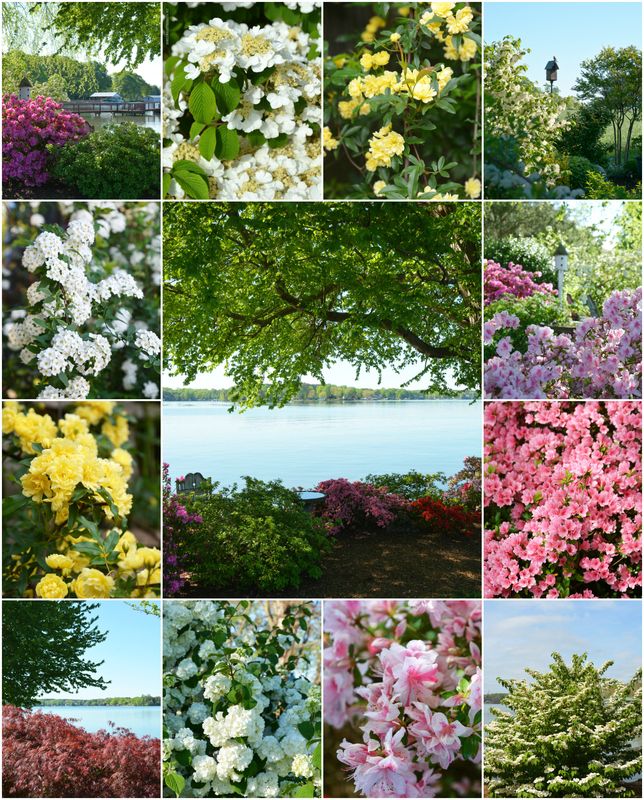 Not sure how I ended up here, but so glad I found your beautiful blog. 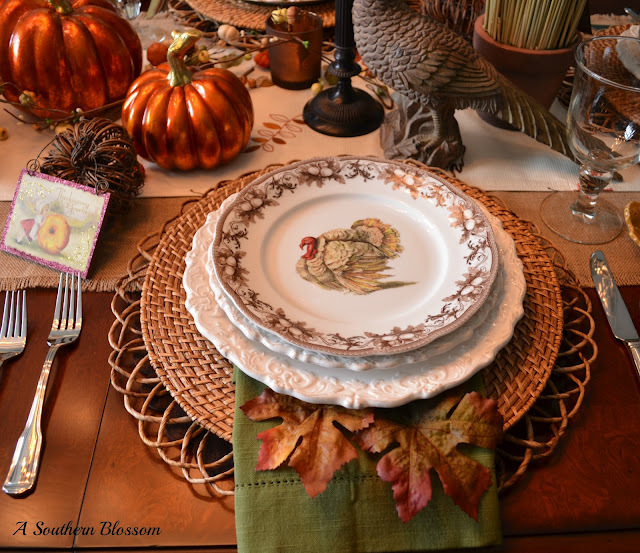 Thanks Giving isn't just about being grateful for what you have and eating good food. It's also about family.